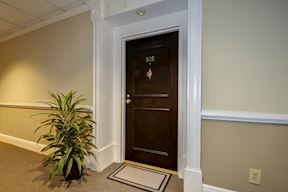 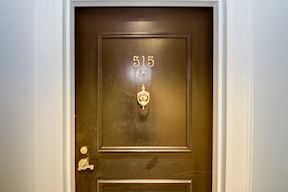 Imagine your life when you get home early from work, pull into your deeded parking spot within a secured garage, and in a few quick steps, you are at your door of #515. 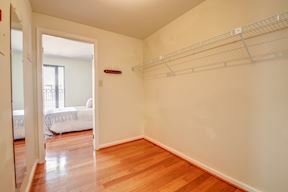 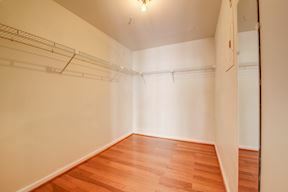 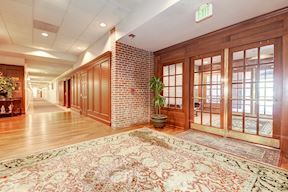 Once inside, you whip open your French doors to invite fresh air from the courtyard into your condo. 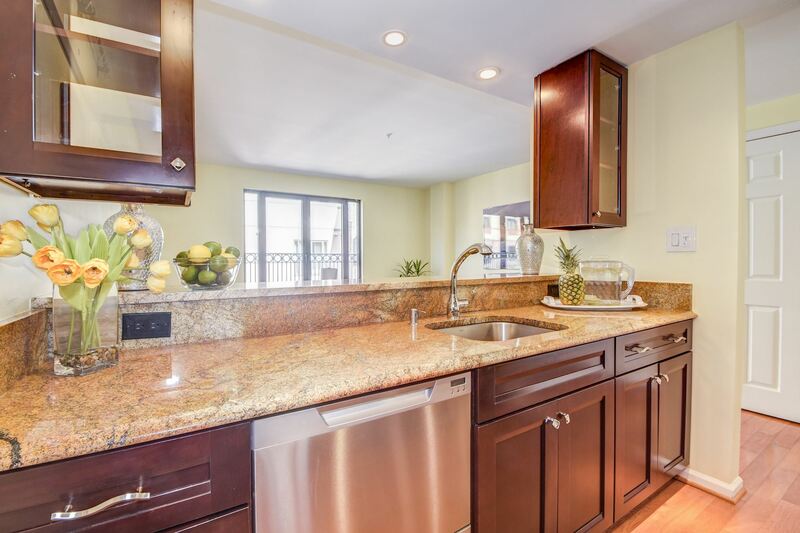 You make yourself a refreshing, craft cocktail on your stunning granite countertop, not needing to ever move your car. 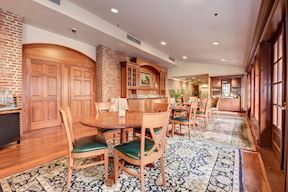 The adjacent eating options for dinner cover the wide array from casual to fine dining. 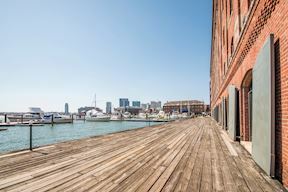 You receive a text from a friend who is out and hoping to catch last minute happy hour with you on the water. 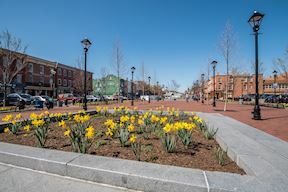 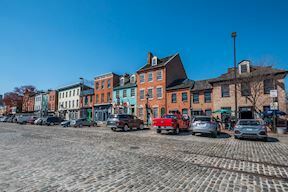 A two minute stroll from your manageable 797 square foot condo leads you to the historic cobblestone streets of Fells Point. 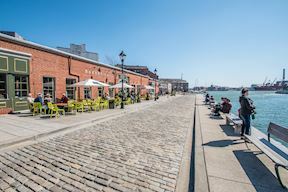 Did I mention this is just a casual waterfront Monday afternoon? 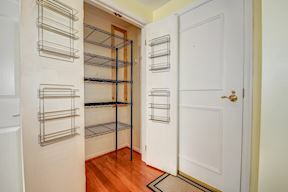 Welcome to your new life, teeming with security, simplicity, luxury, entertainment, efficiency and convenience. 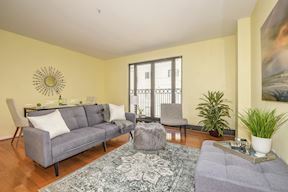 This gorgeous 1 bed, 1 bathroom condo with 1-car parking in the historic, waterfront building of Henderson Wharf hosts views of the private garden terrace 5 stories below. 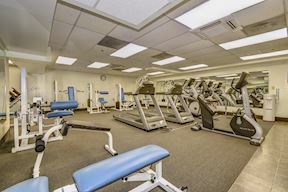 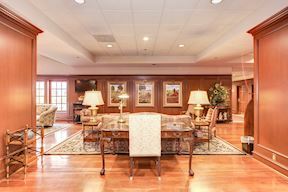 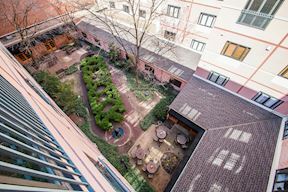 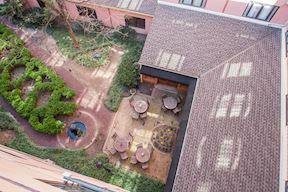 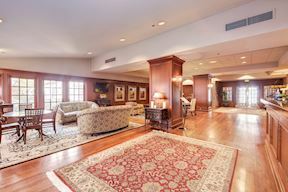 Living in a full service building includes 24/7 front desk, a concierge, a fitness center and a shared courtyard that acts as occasional wedding due to its beauty. 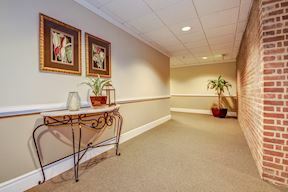 The assigned parking in the private gated garage is yours every day. 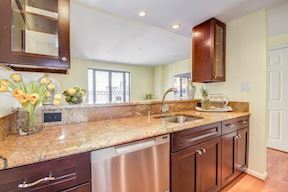 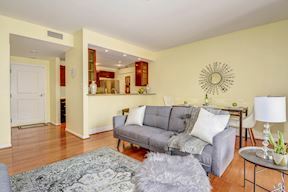 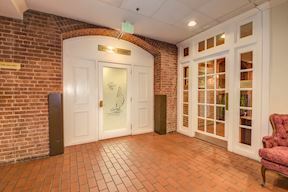 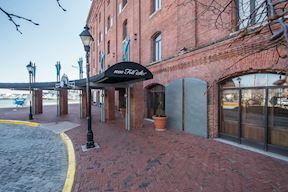 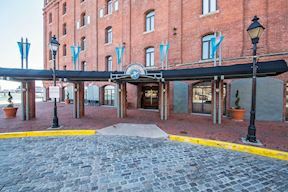 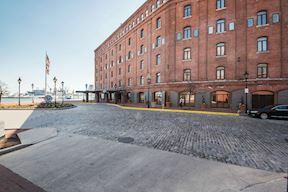 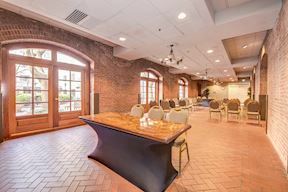 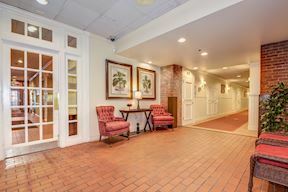 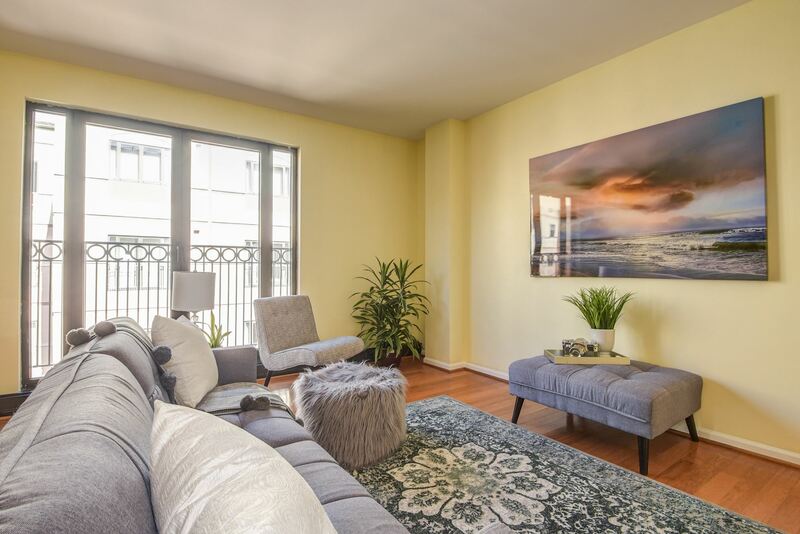 The historic condominium is located in the heart of Fells Point on the waterfront promenade, stealthily nestled on a tranquil cobblestone street. 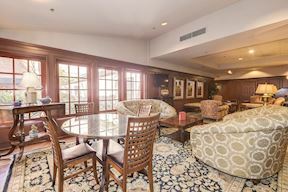 This premier locale creates a balanced “best of both worlds” for you. 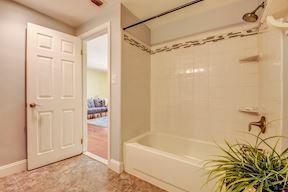 You’re fortunately so close to the action, but not on top of it to hear it. 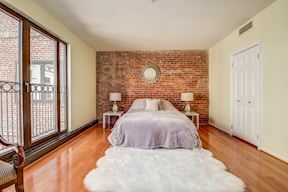 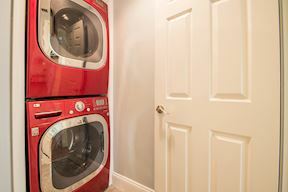 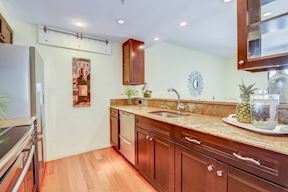 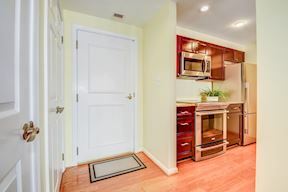 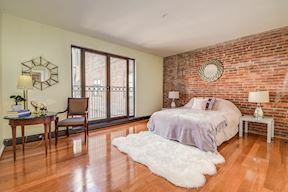 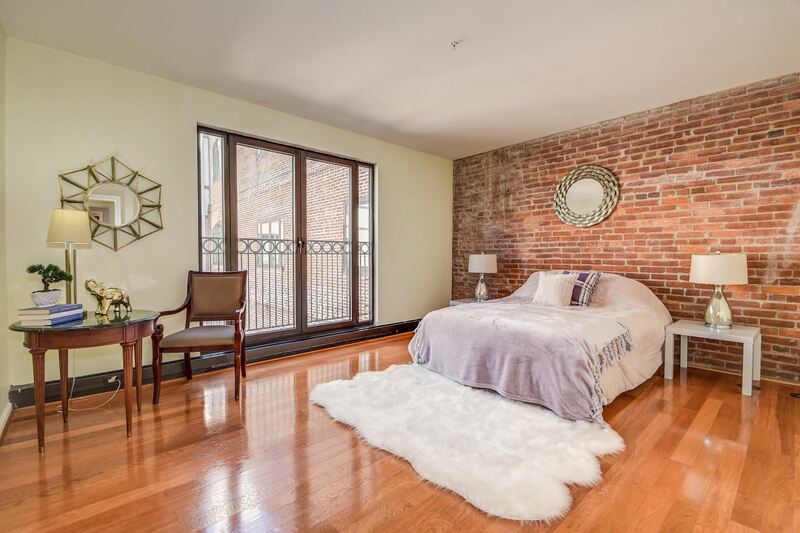 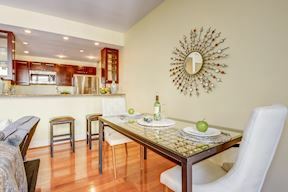 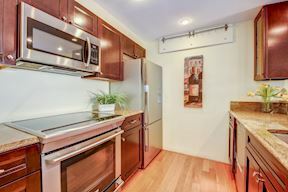 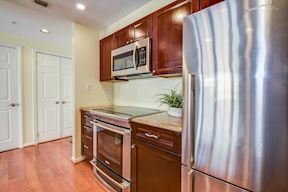 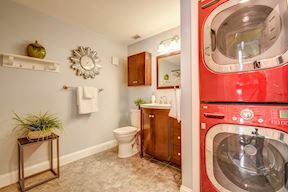 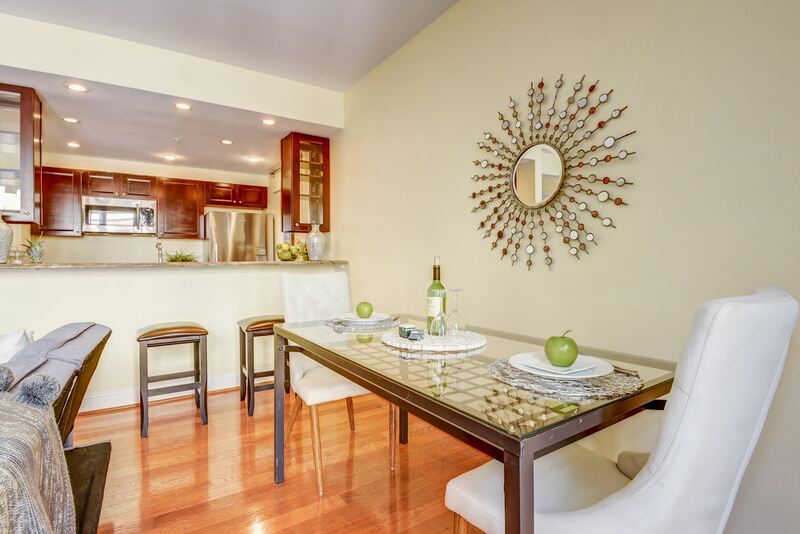 See the open floor plan featuring rich hardwoods throughout, beloved Baltimore exposed brick in the bedroom, designer kitchen with granite countertops, stainless steel appliances, a newly renovated bathroom and assigned parking space. 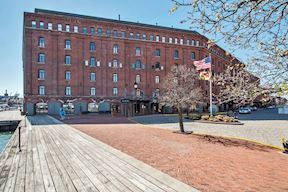 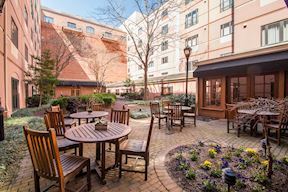 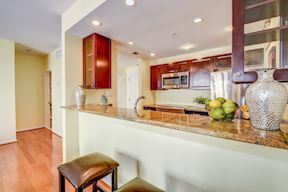 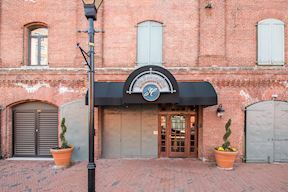 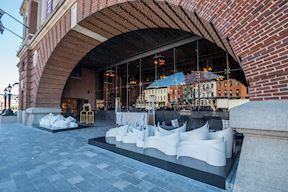 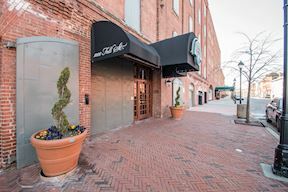 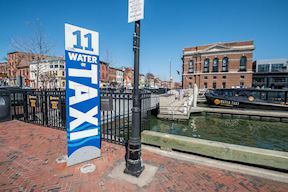 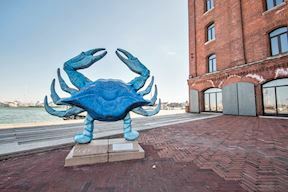 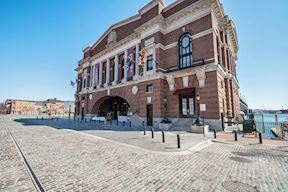 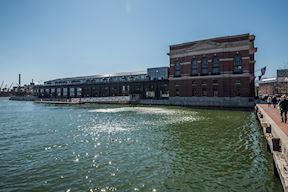 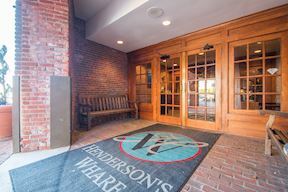 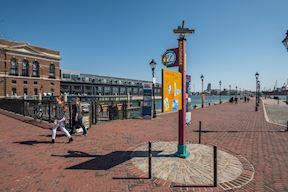 Life here is steps from the water including the alluring Fells Point food scene, numerous art galleries and charming shops, not to mention the convenience of between Harbor East and Canton or the other waterfront neighborhoods locations along the water taxi routes. 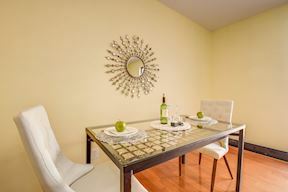 This breakfast area & dining area await you!